If you are familiar with the reporting functionality, you know that reporting is communicating over http (port 80) or https (port 443). In my case it was configured to use http. After I made sure that the problem must be client related, I asked the customer to login to a different client. 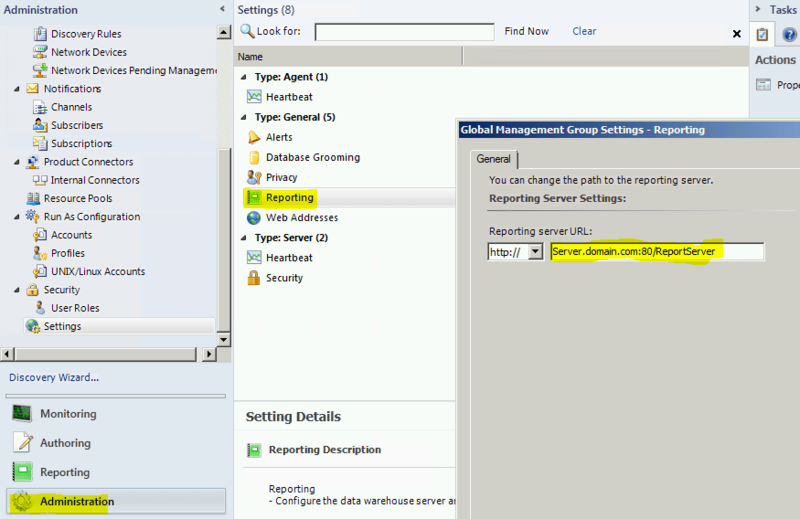 The user could login to a another client and the SCOM reports would appear in the SCOM console. 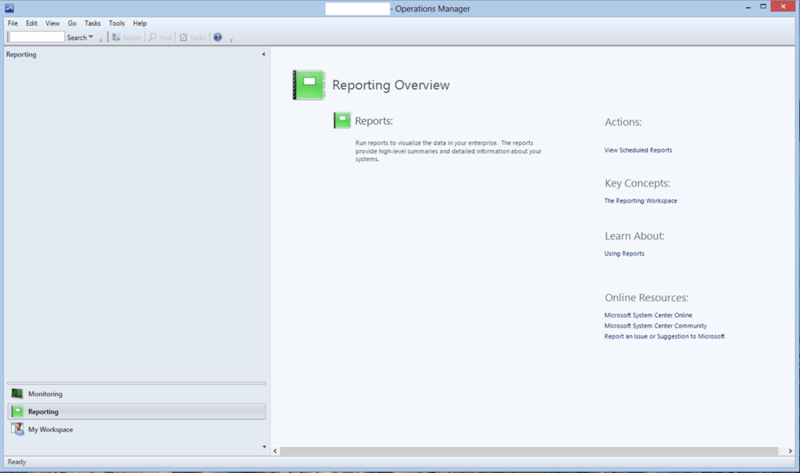 Finally the problem was solved by adding the FQDN in SCOM under Administration/Settings/Reporting. The actual problem was that it was a multi domain / multi forest environment and there was no DNS suffix for clients configured. Because of that, the client could somehow not resolve the flat reporting server name. The reporting server was located in a different Active Directory trusted forest. By changing the server name to FQDN which will use DNS to resolve the server name everything worked well. Conclusion: Always use FQDN if you need to provide server names, don’t just add “flat” server names. I have also seen proxy enabled in IE (and a proxy server is actually used) can cause the reports window in opsmgr console to not populate. How would you solve this issue if it is caused by proxy. Solved this one , I had to open IE under the Credentials of the admin user who was running the console from a client machine and then set the correct proxy in.